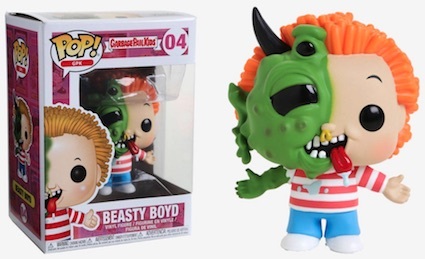 Moving from 1980s stickers to a vinyl existence, Funko Pop Garbage Pail Kids celebrates the quirky kids with the Pop! debut for the Topps brand. 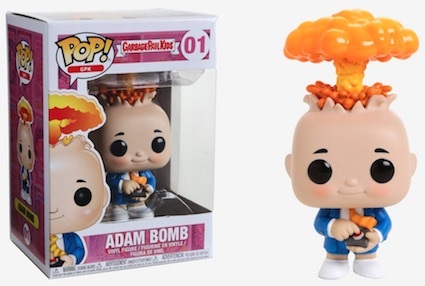 Revealed at the 2018 London Toy Fair, the initial line includes all-time GPK legends such as Adam Bomb, along with other favorites like Ghastly Ashley and Clark Can't. Although the originals were drawings for the popular sticker cards released over the years, the Pop! versions are quite accurate, capturing the subtle details and standard gross-out humor of the franchise. 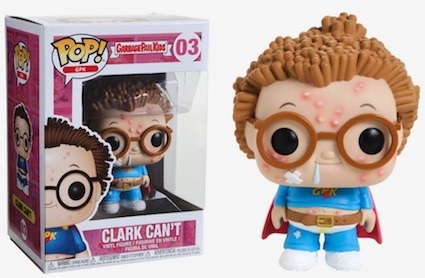 Order Funko Pop GPK Figures on Entertainment Earth. 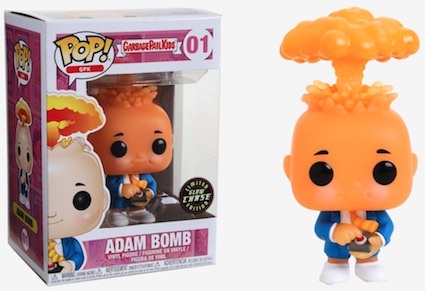 In addition to the base version for Adam Bomb, there is a limited chase variant figure that displays an ominous orange glow. 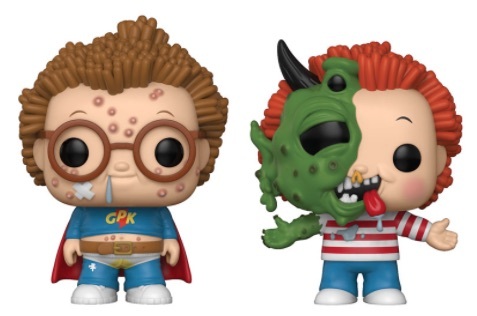 While these are the debut figures for Pop GPK, Funko previously released Mystery Minis and larger vinyls for key Garbage Pail Kids subjects. 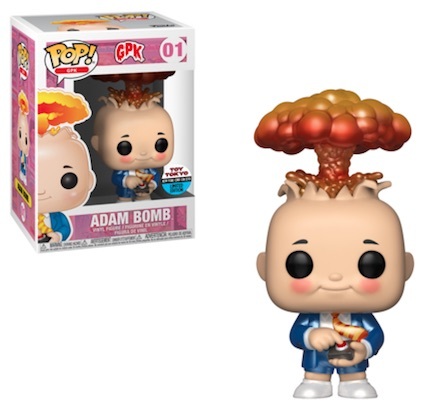 Funko Pop Garbage Pail Kids GPK Adam Bomb #01 Figure | IN STOCK | FAST SHIPPING! 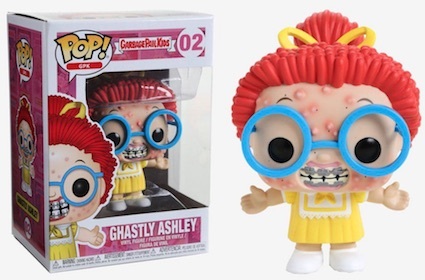 ***BRAND NEW FUNKO POP!! GPK #01 ADAM BOMB GARBAGE PAIL KIDS!! IN HAND!! !